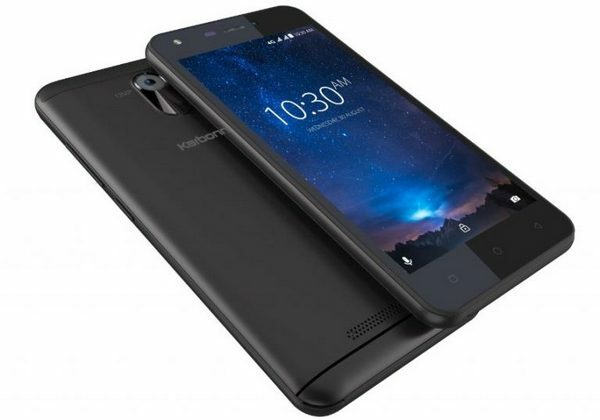 Smartphone maker Karbonn has introduced a new entry-level smartphone, the Karbonn Titanium Jumbo here in India. With a big battery as its USP, the phone itself will be selling at Rs. 6,490. With entry-level specifications, the smartphone will be competing against Xiaomi and Motorola phones. The Karbonn Titanium Jumbo comes with a 5 inch display, 13MP, and 8MP cameras, quad-core processor, 2GB RAM and 16GB internal storage. With these specifications, the Karbonn Titanium Jumbo also offers a big 4,000 mAh battery which is claimed to come with 400 hours standby time. The Karbonn Titanium Jumbo is the latest addition to Karbonn’s Titanium series. It is an entry-level smartphone that comes with a 5 inch HD IPS LCD display with a resolution of 1280 x 720 pixels. In terms of cameras, the phone features a 13MP primary camera with LED flash and a 8MP front-facing unit. In terms of hardware, you get a quad-core processor clocked at 1.3 GHz. This processor is accompanied by 2GB RAM and 16GB internal storage. There is also expandable storage option using microSD card up to 64GB. Also, the Karbonn Titanium Jumbo comes with OTG capability so you can use it to transfer data to pen drives directly, using an OTG adapter. Coming to software, the Karbonn Titanium Jumbo is powered by Android 7.0 Nougat. With certain customizations, the Android OS on this phone is optimized for usage by Karbonn. The battery on the Karbonn Titanium Jumbo is a massive 4,000 mAh unit which gives you 400 hours of standby and is claimed to easily last a full day. For connectivity, it is a 4G VoLTE smartphone that comes with Bluetooth, WiFi, GPS, micro USB port and a 3.5mm earphone jack as some standard connectivity options. The Karbonn Titanium Jumbo has an MRP of Rs. 7,490 but it will be available at a MOP of Rs. 6,490. The phone will come in Black and Champagne colors and will be available online as well as offline.